Bill's Auto Sales is a family owned dealership established in 1978. We offer no interest, buy here, pay here financing. Since we do all our lending in house, we can often work with customers with no credit or bad credit, and offer financing based on your application. We don't buy cars at auction, our vehicles are new car trade-ins that have been well kept and often only had one previous owner. We offer Mazda, Nissan, Toyota, Honda, and Mitsubishi cars and SUV's, and Dodge, Chevy, GMC and Jeep trucks and SUV's. Every vehicle is checked for reliability and quality by our in-house mechanic and we also offer repair services for our customers. 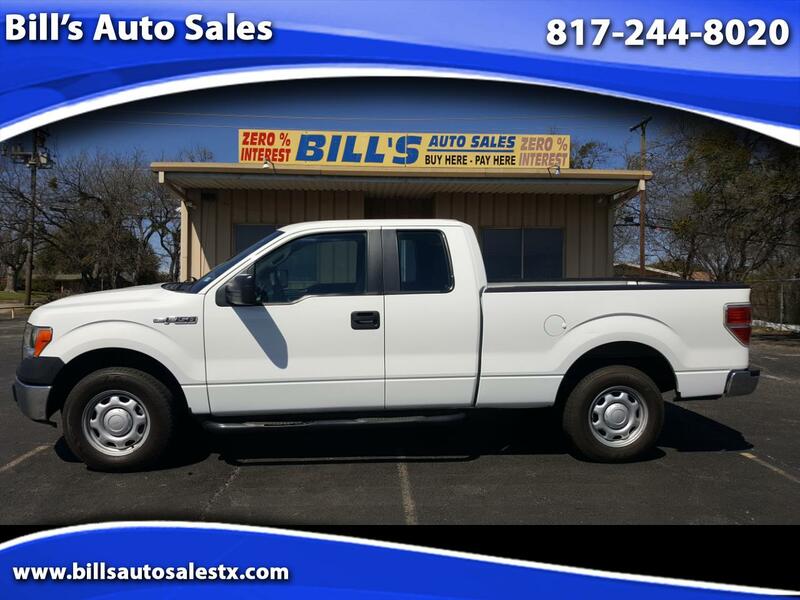 Visit Bill's Auto Sales online at http://www.billsautosalestx.com to see more pictures of our vehicles or call us at 817-244-8020 today to schedule your test drive. We look forward to selling you your next car! Bill's Auto Sales serves the vehicle needs of Ft. Worth, TX Dallas, TX Forest Hill, TX Haltom City, TX Richland Hills, TX White Settlement, TX Benbrook, TX North Richland Hills, TX Saginaw, TX Watauga, TX Crowley, TX Hurst, TX Arlington, TX Burleson, TX Bedford, TX Colleyville, TX Keller, TX Belt Junction, TX Forest Hill, TX Edgecliff Village, TX Westover Hills, TX River Oaks, TX Westworth, TX Haltom City, TX Handley, TX Ederville, TX Everman, TX Lindberg, TX Moselle, TX Melody Hills, TX Sansom Park, TX Kennedale, TX Tate Springs, TX Richland Hills, TX White Settlement, TX and the surrounding suburbs of Dallas Fort Worth Metroplex Denton County and Tarrant County Texas. We offer quality cars and trucks at the best possible price. Our finance department specializes in easy financing for ratings of all kinds: good, average, or bad credit. Trust our service facility at 4230 Benbrook Hwy, Ft. Worth, TX 76116 to get your car, truck, or SUV into perfect shape! We pledge to provide outstanding customer service and a buying experience that is second to none. Come see why we've had thousands of satisfied customers! When visiting our site please click the Facebook "F" or the twitter "T" in the top right to follow us to see new vehicles coming onto our lot. When accessing our Facebook page please like us as we would love to keep you informed about our up and coming/newly added vehicles.